As a budding real estate investor, you've no doubt looked over all your options: You could buy foreclosed houses and flip them, you could buy properties and settle in for the long haul or you could become a landlord. This latter option is one that is full of pros and cons, but at the end of the day, it is the perfect option for many people who want to try their hands at real estate investing. Over the course of your career, you've probably heard about all the negatives that come with having tenants. While there is certainly a downside, you still have a lot of strategies to manage tough tenants and come out on top. Renting out your investment properties isn't something you should back into at the last minute. In fact, the best landlords have a plan - and they craft that plan well before the first tenant ever moves in. In an article for the Bigger Pockets Blog, real estate investor Brandon Turner wrote that you should first become as educated as possible about the life of a landlord. This means learning about home maintenance and any other problems that tenants could throw your way. Before you answer any questions, first check with educational materials such as books, the Internet, forums and other landlords. This way, you'll know everything you can before you go to help out a tenant. Most importantly, Turner stressed the need for a plan. You can't make up rules and terms of the lease along the way. Instead, set everything out in stone well in advance. This includes items like when and how tenants can pay rent, if pets are allowed, who can live in the apartment and other details that may seem obvious to you, but could be a source of confusion for tenants. Remember to stick with your plan no matter what - don't make exceptions for certain people. 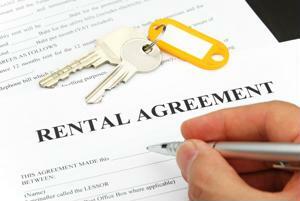 Life as a landlord can get off to a better start if you are well-versed in the housing market. With CRS Data, you can access mortgage records, warranty deeds and much more, right online. Learn more about the CRS Data Real Estate Suite to get ahead in the industry. There is more to being a real estate investor and landlord than just helping tenants, however. You must also pay close attention to all the costs that are involved, or else you could end up backed into a corner. According to Bankrate, there are several main costs that can trip up even seasoned landlords. The first one is insurance. Buying real estate for the purpose of renting is different than if you lived there yourself, especially in the eyes of the insurance company. Acquiring a special policy that is tailored for investors can cost more, and you have to be ready for these added expenses. The same goes for legal fees and taxes, Bankrate explained. There are a lot of legal nuances behind the scenes, and you must be aware of the details before you start renting to tenants. Learn about when and how you can evict tenants, what information you can ask for during the rental period and other elements of property management. Working with legal counsel will cost money, of course, so budget accordingly. Take note of taxes, too, as some states have different rules for owners who rent compared to owners who live in those properties. Above all else, be ready for the home maintenance costs. You'll be tasked with fixing up the property before renting it out, and you'll also be called on for repair duties from tenants. Factor in all these expenses, and you'll be ready to become a landlord.